Lucy! I am speechless. These flowers are all stunningly beautiful ~ and you are one talented lady! I can only hope that when I attempt to make these for the upcoming Easter weekend, my crepe blossoms will be even half as gorgeous as yours! how to put a bandana o Lucy! I am speechless. These flowers are all stunningly beautiful ~ and you are one talented lady! I can only hope that when I attempt to make these for the upcoming Easter weekend, my crepe blossoms will be even half as gorgeous as yours! It's #DIYsunday! Todays video is going to show you how to make, some beautiful cherry blossoms on a branch, from crepe paper. Perfect for spring decor. how to make a christmas stocking out of a sweaterh It�s the season of cherry blossoms in Japan, so I made another tutorial for everyone to enjoy for their toy photography. Years ago, I made a video tutorial on how to make a sakura-inspired tree. 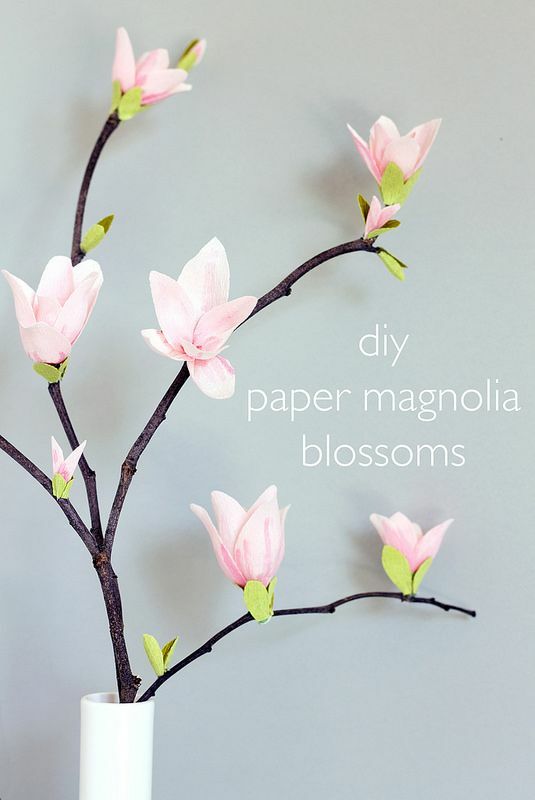 Cut out 2-inch squares of pink tissue, pinch tightly in the middle to create blooms, and affix them to branches with white glue. Display in a tall container, such as a canning jar with the lid's center removed. Lucy! I am speechless. 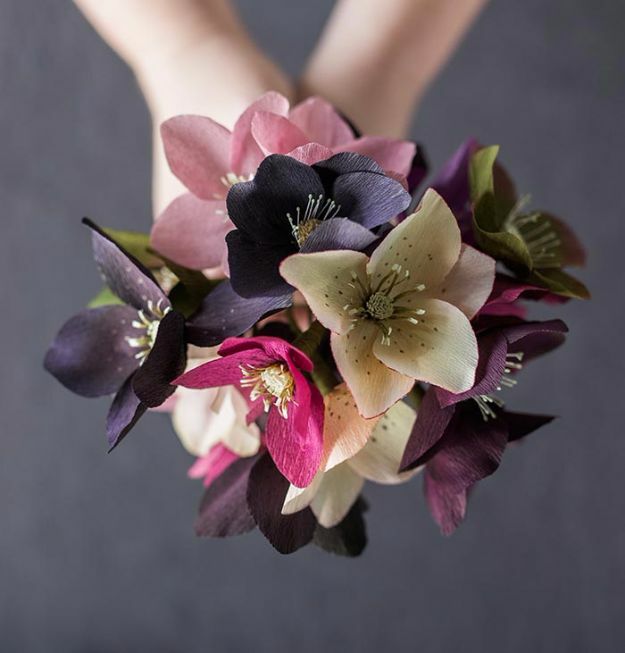 These flowers are all stunningly beautiful ~ and you are one talented lady! I can only hope that when I attempt to make these for the upcoming Easter weekend, my crepe blossoms will be even half as gorgeous as yours! Cut pink floral crepe paper into a wide rectangle, about 4 by 12 inches, with the paper grain running vertically. Using regular scissors, cut "petals": Cut into 1 long side at 3/4-inch intervals, leaving a 1-inch margin along opposite side. Without stretching crepe paper, cut rounded points at the end of each petal.